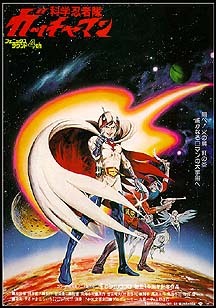 Information: This was an advertising poster for the Gatchaman feature film which premiered on July 15, 1978. If you would like to look at the original handout flyer for the feature film, click here. If you'd like to look at one of the original, unused tickets for the premiere of the feature film, click here.